PHOTO: Flatts Village is in Hamilton Parish, home to the Bermuda Aquarium. For an archipelago of 181 islands that is located outside of the Caribbean, Bermuda is certainly Caribbean-like. The beautiful blue skies, soft white-sand beaches and lush flora that distinguish the Caribbean exist in abundance here. Bermuda residents also share the easy-going, welcoming nature that is characteristic of Caribbean people. But as a sub-tropical archipelago, located in the mid-Atlantic but warmed by the Gulf Stream, Bermuda is also something unto its own. Bermuda’s public and residential architecture is unmistakable, with virtually every building and home painted a pastel shade of blue, yellow or pink, and topped by a painted white roof. If a warm-weather destination is defined by its beaches, Bermuda is a world-class entrant, with beaches featuring sands varying in shade from white to pink. Several also offer easy access to offshore reefs, creating ideal scuba diving and snorkeling opportunities. The beaches range from small, secluded coves to mile-long stretches of sand bordered by towering limestone rock formations. Bermuda is an outstanding golf destination, with numerous world-class courses and a golf academy. And the island has a distinct history that not only combines African and British cultures but also includes its role in the American War of Independence. The mixture of colonial history and African heritage is the source of long-held local legends and rich traditions, which visitors can explore at sites around the islands. Bermuda also offers an undeniably romantic landscape, with multiple islets and rocky outcroppings framed by lush vegetation, dense fauna and colorful flora. Couples will find a seemingly unending series of beautiful coves perfect for romantic moments. 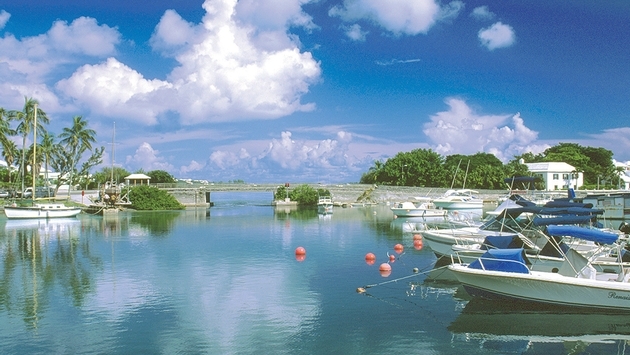 Nearly every one of Bermuda’s nine parishes feature some tourist attractions. St. George’s Parish encompasses the area around the city of St. George, a UNESCO World Heritage Site. Hamilton Parish features Crystal Caves and the Bermuda Aquarium and Zoo. Smith’s Parish is home to the Spittle Pond Nature Preserve and the Devil’s Hole Aquarium. Pembroke Parish includes the capital city of Hamilton, while Paget Parish offers numerous resorts as well as Elbow Beach and the Bermuda Botanical Gardens. Vacationers will find activities such as golf, horseback riding and the island’s best cliffs in Warwick Parish. Bermuda’s best beaches and the historic Gibbs Hill Lighthouse are found in Southampton Parish. Sandys Parish features the Royal Naval Dockyard fortress and shops, Gilbert Nature Reserve and several beaches. After a long period of stagnation, Bermuda’s hotel sector is once again seeing new and revitalized properties. The country has also created a robust calendar of year-around events that attract travelers from across the globe. Earlier this year, Bermuda’s government announced an “exclusive negotiation” with hotel developer Desarrollos Hotelco Group to build a new resort in historic St. George’s. The new property is planned for the site of a former Club Med resort in St. George’s and calls for a 238-room hotel with an 18-hole golf course, 24 villas, 16 estate residences, a spa, a fitness center, swimming pools and a casino, said Shawn Crockwell, Bermuda’s tourism minister. 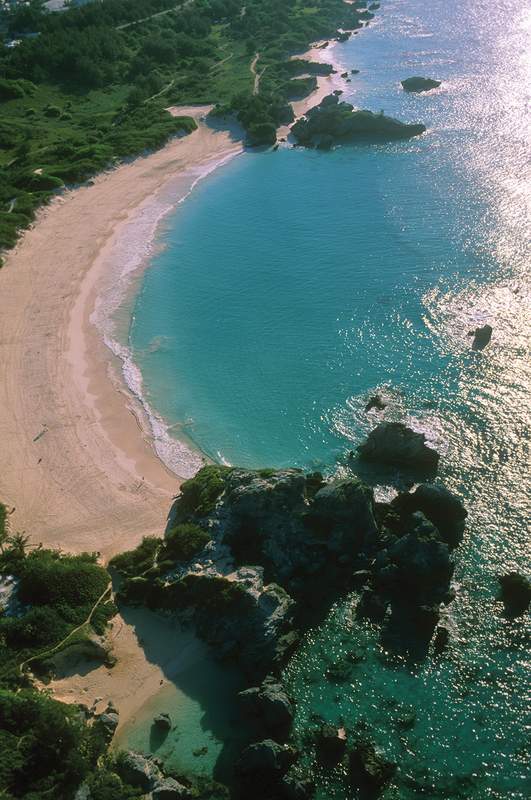 PHOTO: Bermuda offers an undeniably romantic landscape. Desarrollos was identified through a government request for proposals launched by the Crockwell administration. 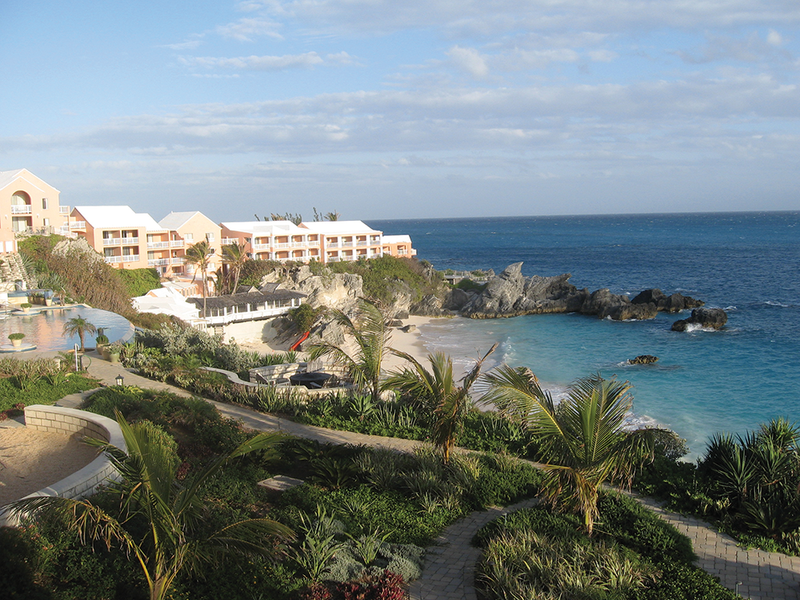 The announcement follows the recent reopening of Bermuda’s 106 year-old Elbow Beach Resort, which had been operated since 2000 by Mandarin Oriental Hotel Group. 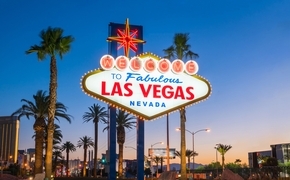 The 98-room resort is now operating under the management of the Burns Group, a New York-based company. The historic property began operations as a guest cottage in 1908 and was reportedly the first lodging property built along the island’s southern beaches. One of Bermuda’s iconic properties, the Fairmont Hamilton Princess, recently completed the first phase of a $90 million renovation. The completed renovations include new guestrooms and suites; the 1609 Bar and Restaurant, a new eatery; a 60-berth marina; and an open-air, casual dining venue overlooking Hamilton Harbour. The completed renovations also include an infinity-edge pool and an art collection in the resort’s public spaces that features creations by Andy Warhol. The recently launched second renovation phase will add a new restaurant from celebrity Chef Marcus Samuelsson as well as an additional restaurant and bar and new guestrooms in the hotel’s main building. Another property familiar to Bermuda travelers, the Fairmont Southampton, is in the midst of its own renovation that will include an $11.5 million redesign of the majority of the resort’s guestrooms. The work is expected to be completed in 2015. The hotel’s east- and west-wing public areas were recently equipped with new contemporary furnishings. In addition to the newly revamped properties, several other Bermuda hotels are offering special travel packages, including some in partnership with the Bermuda Tourism Authority. Bermuda’s “Endless Summer” program offers guests who book a three-night stay the option to extend their vacation with a complimentary third, fourth or fifth night. Packages are available through Nov. 27, 2014 and are valid for travel through Nov. 30, 2014. A family-focused package at luxury resort Rosewood Tucker’s Point features the popular children’s book “Tiny the Tree Frog” by Bermudian author Elizabeth A. Mulderig. The package also includes a special welcome amenity, an autographed book, a CD with Bermuda tree frog sounds, Tiny the Tree Frog stuffed animal and tickets to the Bermuda Zoo and Aquarium. Packages are available through Dec. 31. Other properties are offering new cuisine services. One of the destination’s most highly rated properties, The Reefs Resort & Club in Bermuda, now features celebrity chef Douglas Sisk, who has who has cooked for presidents George H.W. Bush and Bill Clinton. Chef Sisk has implemented a series of new events including a chef’s table experience. The exclusive eight-course dinner features personally selected wine pairings. Beyond its plush resorts and beautiful beaches, Bermuda has emerged as a center for events that include a variety of professional sports competitions. The country’s status as a haven for golfers is again in the spotlight this month at the PGA Grand Slam of Golf, scheduled for Oct. 13-15, which features four of the world’s best professional golfers at the Port Royal Golf Course. PHOTO: The island is known for its beautiful white-sand beaches. The RBYC Argo Cup, scheduled from Oct. 21-26, is a yacht-racing competition, featuring 17 teams racing head-to-head for the King Edward VII Gold Cup Trophy. Bermuda is also a finalist to host 35th America’s World Cup, the world’s most prestigious sailing competition, in 2017. The America’s Cup Event Authority, the event organizer, has cited the island’s long history of success with other major sailing races, such as the Newport to Bermuda race and the Bermuda Gold Cup match-racing event, and the destination’s close-to-shore racing location within the Great Sound as major positives for Bermuda’s bid. A decision on the host location is expected before the end of the year. Also, the Queen of Bermuda Triathlon, scheduled for Nov. 7-9, will feature female athletes competing in a sprint distance triathlon and sprint duathlon on a race course set on the grounds of the Fairmont Southampton. Bermuda will also host the World Rugby Classic from Nov. 8 -15. The event, which has been held since 1988, will feature top international rugby stars gathering for seven-days of games and events. Travelers seeking a historical perspective on Bermuda can opt for one of a series of new historical tours and re-enactments in St. George’s offered by Bermuda National Trust. The free tours feature guides in period costumes who describe significant moments in Bermuda’s history, including the country’s involvement in the American Civil War. The tours, offered on Wednesdays and Thursdays at 2 p.m., also showcase significant historic buildings found throughout St. George’s. Heritage Wharf in Bermuda’s historic Naval Dockyard now features a pirate-themed floating bar, Calico Jack. The floating bar is set on a repurposed ferry and features local woodwork and a pirate’s bounty of rum. Another new attraction is the Bermuda Perfumery in the capital city of Hamilton. The store is the newest outlet of the original Bermuda Perfumery, headquartered in St. George. The shops allow visitors go test, try and purchase their own island fragrance created in and inspired by Bermuda. Guests can also see a display of the 150-year-old perfume found onboard the Mary Celestia, a Civil War-era located shipwreck off of Bermuda’s coast. Ashley Harris, a fourth generation Bermudian, operates Hidden Gems Tours that highlight Bermuda’s jungle, a large banyan grove, snorkeling spots and secluded beaches.